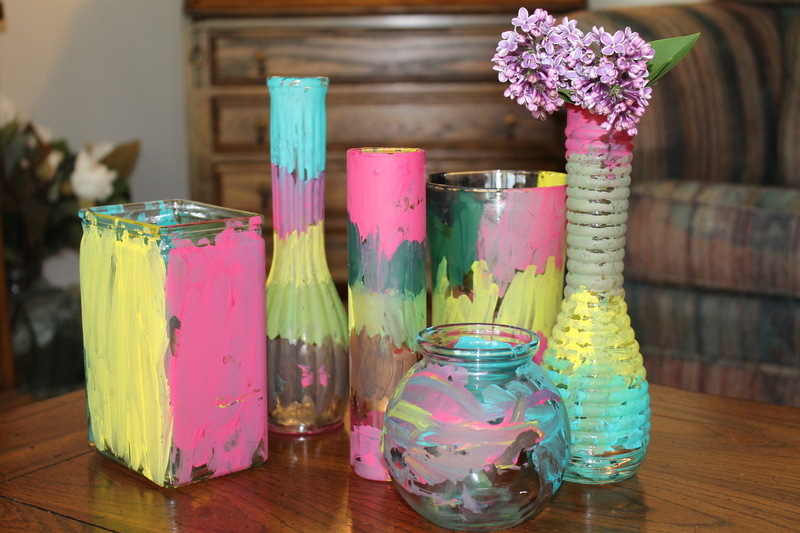 Last year for Mother’s Day we made these kid-painted vases for the grandmothers and great-grandmothers. I was happy to find a use for the plethora of glass vases that take up residence in my kitchen cabinet. I swear, even though I rarely buy flowers, they just seem to multiply up there! Maybe it has something to do with the microwave beneath them. Hmmm… Where were we? Oh yeah. My girls are big fans of painting, so they loved it. Big Sis liked picking out “the perfect vase” for each grandmother and great-grandmother. And even if the painting looks like a mess (ahem, Little Sis’s small vase in front), it will still be a cherished modern art masterpiece by any grandma. Beautiful! Thanks for sharing at the After School Linky Party!